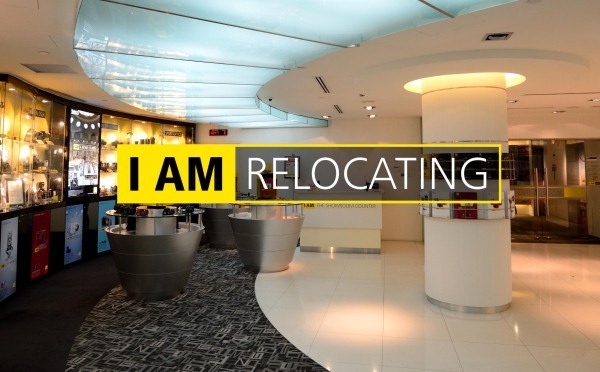 Nikon had announced on 20th May 2013 that they are moving their operations out of Fuji Xerox Tower and will start operating from their new Capital Square from 10th June 2013.
just because the brand’s service centre is easier to access, outside town, near MRT, etc. rather than the location of the service centre. Sadly – but in Singapore context, we are sort of “cultured” differently. Parking rates, ERP charges (means you have to pay to drive into city during certain time of the day) does puts people off. And it will not help if the location is more than 5 minutes walk away from any MRT stations or far away from the nearest bus stops. Almost forgot to mention that high parking charges does puts people who drives too. Well, I hope that all of the above that I mentioned will not determine the buying decision of the consumers, but trust me, it will, in a way affect how a consumer (in Singapore) will react given the additional trouble that one had to take just to get a camera or lens serviced. While photographers in other countries have no issue driving 40 miles away to get to a service centre, 40 minutes to get to a service centre sure puts many off. Different country, different standards – so don’t slam me for this. I have compiled a list of service centres below for everyone’s reference. ** The above list is correct at the time of publishing. ** All distance covered & traveling time calculated is based on google maps. This entry was posted in Brand: Canon, Brand: Nikon, Brand: Olympus, Brand: Others (Cosina, Carl Zeiss, Leica, Mamiya, Samyang, Vivitar, Zenitar,etc), Brand: Pentax, Brand: Sigma, Brand: Sony, Brand: Tamron, Brand: Tokina, Photography Articles & Videos. Bookmark the permalink. The Nikon service centre and showroom it’s near by after tanjong pagar maybe not many people know about the building. for those working in cbd area not problem going there. Singapore is small country the furthers it’s pulau ubin.